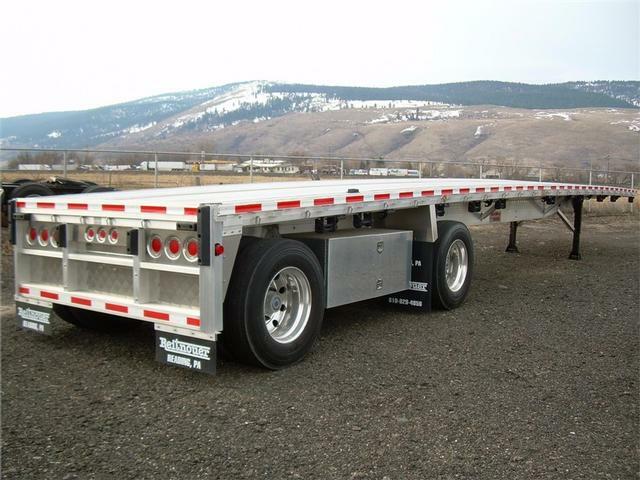 Please contact me regarding the 2016 Reitnouer Maxmiser - Stock# 180488 for sale at TruckerToTrucker.com. Take a look at this 2016 Reitnouer Maxmiser. It is Stock# 180488 at TruckerToTrucker.com. 2016 Reitnouer 48x102 Maxmiser flatbed tralier. Has 3.5" reduced arch, 24" king pin, 3 wood nailers, open rail with stake pockets on 2' centers, LED lamps, electric dump valve on rear axle, fixed winches, fixed hooks, dual toolboxes, dunnage rack, spare tire rack & Scalamatic with manual dump valve. Price includes FET.